Poll cards are one of the easiest ways to boost viewer engagement. Your audience can interact with your videos through a feature that not all vloggers make use of. 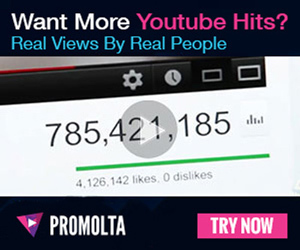 The only thing a viewer has to do is click the “i” in the corner of a video to see the polls you put there. As a creator, you can use polls to decide which video to make next, gauge your audience’s level of interest in the subject of your video, or get your viewers’ help in making any sort of decision that affects your channel. Here’s how to add polls to your YouTube videos in three easy steps. 1. Go to your Video Manager to edit the video you want to add polls to. If you’re having trouble finding your video manager, follow the instructions in the video below. 2. Add a card to the video. After you click “Edit,” a tab bar will appear, offering you several options. Select “Cards” from this bar. Then, click “Add card” and choose “Poll card.” You can add up to five cards to a video. Check out this video tutorial to see exactly what you need to do. Finally, edit the card with a question and several options for answers. In the timeline below the video, you can set the start time for the poll to appear. Click “Create card” to save it to your video. This video will teach you a few ways to use polls to boost your viewer engagement. Polls cards are a quick and easy way to make your videos more interactive. Follow these steps to add polls to any videos on your channel.